Have you been thinking about upgrading your kitchen to make it more spacious and easy to use? Upgrade to a kitchen that will meet your needs today AND in years to come! 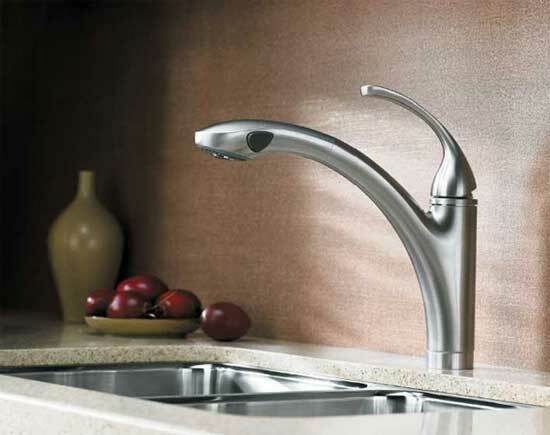 Add wheelchair accessible sinks with lever faucets, and ADA ovens and appliances. If a family member is experiencing a disabling long term illness requiring changes in your kitchen, now may be a good time to plan a more open and user friendly handicap accessible kitchen design. Is a spacious and open feeling kitchen area your design objective? It may be necessary to move, remove or replace a wall or counter. Modifying one aspect of your kitchen can make the kitchen significantly more user friendly. Changing an island or peninsula counter, or relocating an appliance can make all the difference. Your home modification design should include ample floor space for mobility; ADA handicap accessible kitchen appliance access clearances; accessible cabinet doors, drawers and shelves; and a functional “work triangle”. The work triangle refers to the comfortable work space area created between the stove, the refrigerator, and the sink. The sides of the triangle should be greater than four feet and under nine feet, with the outer limits of the triangle at a maximum of 26 feet. Accessibility to storage areas, cabinets and pantries. Wheelchair mobility. Space in front of and alongside appliances is essential. Create work space comfort and coordination with utensils, sliding trash bin, etc. The room layout should keep cabinets and counter tops close to appliances for easy transfers of clothing. Accessibility experts stress that front-loading washers and dryers are the best choice for the accessible laundry room. They are easier to load and unload, especially if you are in a wheelchair. At least one accessible surface is needed adjacent to the laundry equipment for folding and sorting. When installing new cabinets, place counters at varying heights so that everyone can reach and use some of the counter space. If you are installing a sink in the accessible laundry room, consider one that is wall-mounted or allows roll-under access. Make an appointment with Atlanta Home Modifications for an in-home consultation to enable us to meet you, observe and evaluate your current living arrangement, and assess how we may assist you in the management of a more pleasant and accessible home, or in case there is ever a disabled or elder family member in your care. There are many things that can be done to make your home more accessible, such as wheelchair accessible sinks with lever faucets, and ADA ovens and appliances. Call 770.880.3405 to discuss design options for ADA handicap accessible kitchen remodeling. Atlanta Home Modifications, LLC serves metro Atlanta including Decatur, Alpharetta, Roswell, Marietta, Acworth, Kennesaw, Sandy Springs, Dunwoody, Snellville, Norcross, Duluth, Lawrenceville, Suwanee, Buford, Flowery Branch, Athens and Gainesville, Gwinnett, Fulton, DeKalb, Georgia.